Polished white floors, white panelled walls and strip lights stretch into the distance in the four subterranean corridors that lead 1,000 employees into the McLaren Technology Centre each day. 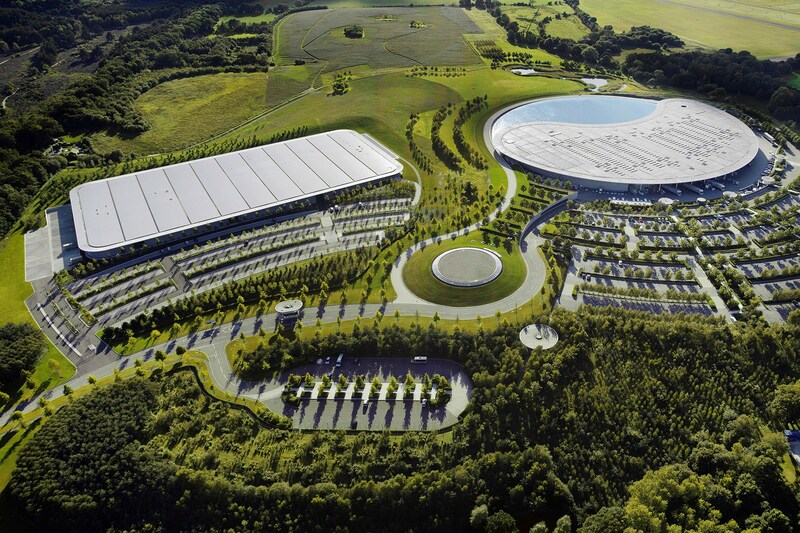 Ron Dennis, chairman of McLaren Group and McLaren Automotive, wanted the entrance to its Woking base to “cleanse the minds” of his team before they start work each day, as well as creating an environment that was odourless and near-silent. 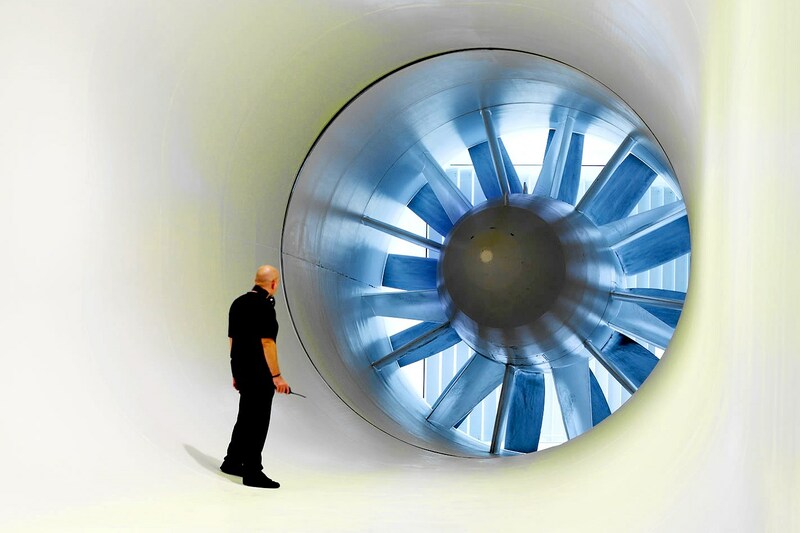 The ability to showcase the brand’s 52-year racing heritage and incorporate the resident Formula One team’s 145-metre wind tunnel, which employs a neighbouring lake to cool its turbines, were also key priorities. 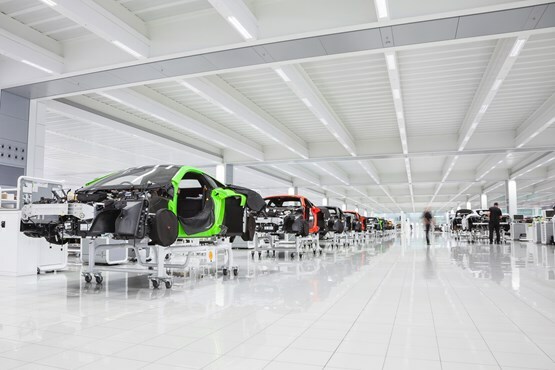 McLaren Automotive, built out of the same obsession for engineering excellence, fits well within the space age, cutting edge surroundings – in June of last year it announced it was reinvesting 20% of its £475.5 million annual turnover, about £92m, into research and development. Now, less than five years since its first franchise opened, the supercar specialist is gearing up for an explosion of activity with its new, entry-level Sport Series range – the 570S and forthcoming 540C coupés. the 570S is priced from £143,250. The new range is priced from £126,000 (for the 540C), less than half the price of the £285,000 675 LT Spider, which recently sold out of its 500-unit production run in two weeks. So far, McLaren Automotive has sold about 7,000 vehicles in total, from its Super Series, which regularly exceed £200,000, and Ultimate Series cars, such as the £866,000 P1 hypercar. Jolyon Nash, McLaren Automotive’s executive director, sales and marketing, told AM McLaren’s success so far was “unprecedented” in the luxury sector. The manufacturer was profitable three years after its formation and had record registrations in 2015. 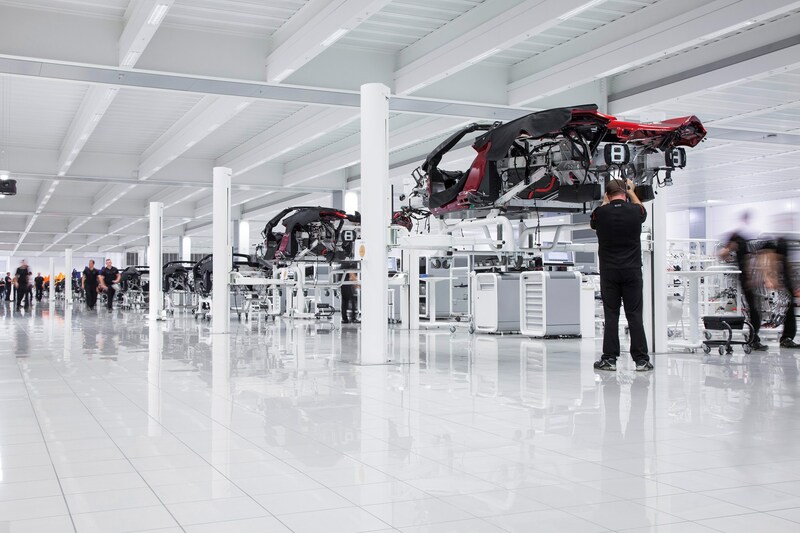 It is aiming for a self-imposed production ceiling of about 4,000 cars a year. UK registrations reached 171 cars in 2015, up from 121 in 2014. The US is the brand’s largest market, with 519 sales in 2015. Nash, who joined McLaren from Rolls-Royce in June 2014, said: “McLaren is a very young company in automotive terms. It has been in business four years and such a great deal has been achieved in that short space of time. In 2015, McLaren Automotive sold 1,654 cars through its global dealership network of 80 retailers across 30 markets. By 2017, Nash expects that figure to almost double. 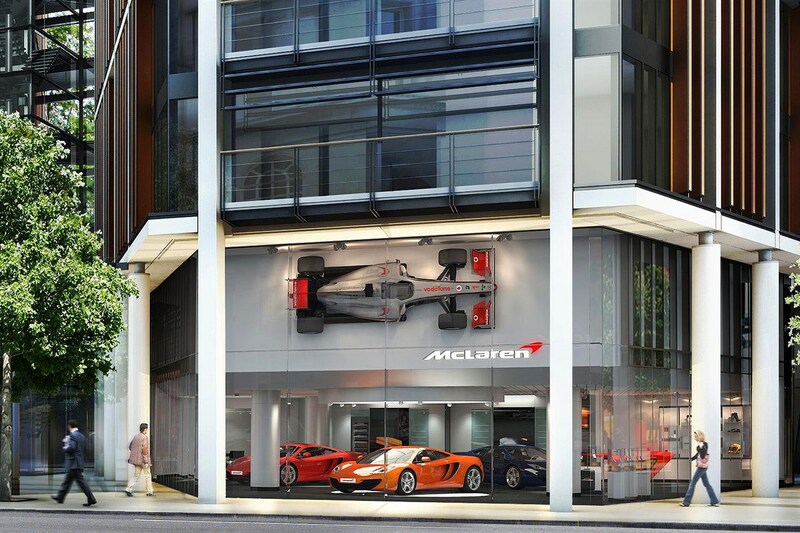 The dealer network will see its sixth UK retailer – McLaren Bristol – open in Q2 of this year. Based at The Laurels, Cribbs Causeway, the site will be operated by Rybrook Holdings and joins existing outlets in London, Birmingham, Manchester, Glasgow and Ascot. Expansion at that scale will require the recruitment of 250 staff and a second shift at the Woking production facility. However, Nash is in no doubt about the potential effects of the rapid growth at dealer level and said an increasing emphasis on aftersales and the McLaren Qualified used car programme was inevitable. Nash said one of the reasons for this was that the Sports Series would attract “a different customer” to the brand. “Anecdotally, the Super Series owner will have four or five cars. For many, the Sport Series could be their daily driver or a weekend runaround, but they will probably not own three or four cars. It’s a different sort of customer. They’ll be more focused on the practicality of the car, the usability of the car. “These are customers who have experienced other premium brands in a segment which offers very high levels of customer service so the pressure is on ourselves and our dealer network to ensure that we offer the appropriate level of service. McLaren has put processes in place this year to make sure dealers can meet this level of service, said Nash. “In each region, our aftersales managers have gone up and made sure dealers have the right volume capacity, the right standard of technician and the right number of servicing bays. “Aftersales is an area in which we are growing absolutely exponentially. Our parts sales last year demonstrated significant growth, in line with the car parc growth. 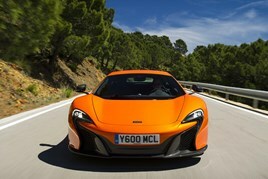 Nash said an increase in how much the average McLaren owner used their cars would also make aftersales a priority. “Many brands have a strong retailer network simply because they have such a large car parc,” he said. “Our evidence is that McLaren drivers use their cars far more than drivers of other vehicles in the segment. We actually had a letter from a German McLaren owner thanking us for a 12C that had done 100,000km. Once we get into Sports Series, we expect that trend to continue and, from a dealer perspective, that means more and more time in the workshop. for the 12C after its unveiling in 2014. 62mph and a 207mph top speed. technicians in the regions, if necessary. However, he said “the vast majority of issues we would expect to be dealt with at the dealership”. McLaren Automotive opened its first dealership, in partnership with Jardine, at One Hyde Park, London, in June 2011 and had about 30 retailers on board by the end of that year. That number remained stable until 2014/15 when the network expanded by about 40% globally. The vast majority are extensions of businesses already operating in the luxury automotive segment, which have invested in an incremental facility for McLaren – with separate showrooms, but a shared back office, and perhaps workshops. Nash said: “It’s essential that the low volume dealers have other dealerships, other revenue streams to ensure that they can make a reasonable return. Multi-franchised dealers, we would hope, would be in a position to generate a profit relatively quickly, getting not too far off profitable numbers by their second year. bereft of a flagship offering. reach 62mph in 2.8 seconds. While there are currently no plans to further increase the size of the McLaren Automotive dealer network, Nash explained that retailers who appeal to the brand are those who can tap into a very exclusive, premium customer base. Among the promotional exercises carried out at McLaren dealerships are tie-ups with luxury watch manufacturers and visits by designers and engineers from the McLaren Technology Centre. 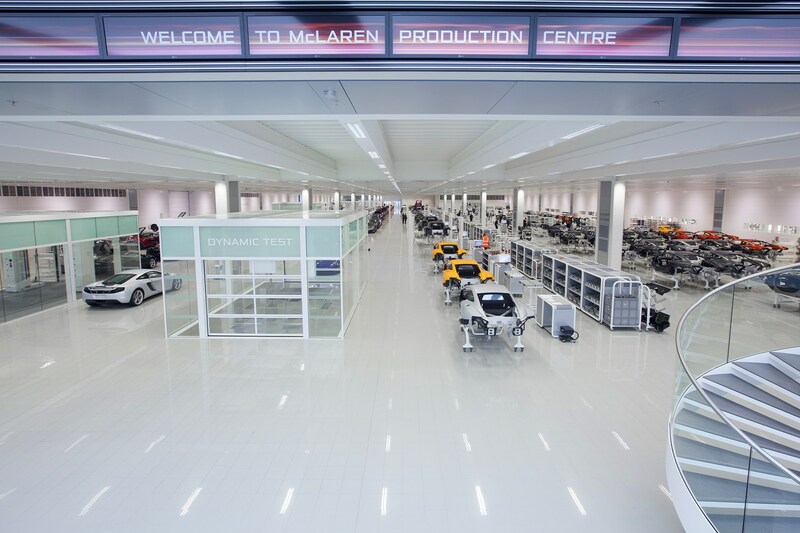 After potential customers have engaged with the brand at a retailer – or through one of 1,300 invitation-only tours of the McLaren Technology Centre each year – many are ready to purchase. 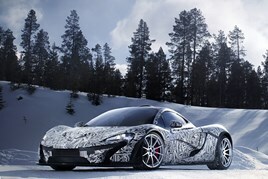 Demand for bespoke vehicles has led to the creation of an array of personalisation options courtesy of McLaren Special Operations (MSO). Once a specialist department charged solely with the maintenance of McLaren’s original road car, the legendary McLaren F1, MSO can now personally tailor customers’ cars on the production line at Woking. 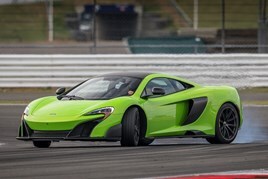 Motorsport-loving McLaren Automotive customers craving exclusivity also recently snapped up the opportunity to own one of 50 track-only, 986bhp P1 GTR hypercars at a price of £1.98 m as part of a package that included fully supported track driving sessions at six events throughout the year. Despite the sums involved, Nash said finance penetration among McLaren Automotive retailers is surprisingly high and something he expects to increase with the introduction of the 540C and the increasing popularity of the Sports Series. 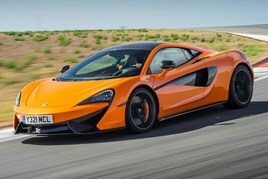 Used McLarens will increasingly be backing up the new Sports Series as an entry level to ownership, further broadening the brand’s appeal, along with aftersales and finance penetration opportunities for retailers. Nash said the original batch of 12Cs produced in 2010 were an “extremely desirable” used proposition and revealed a desire to keep cars within the company fold through its McLaren Qualified programme, with cars traded, bought and sold at a retailer level, but inspected and updated, if necessary, to brand new car levels with a full manufacturer warranty. He said the programme would help to maintain the brand’s residual values, which he expected to continue to improve as its market prominence and reputation grew. No matter whether McLaren Automotive’s customers are investing almost £2 million or £126,000 on a vehicle, Nash made it clear that exclusivity would remain key to the brand’s philosophy, with no plans to compete with rival products from the likes of Porsche in volume terms. “Exclusivity is what our customers like. Our intention and ambition is that McLaren remains highly exclusive, so if we can get up to 4,000 cars, in the long term, that would be very satisfying and would offer up a very healthy return to our shareholders. “It also means that we’re in a position to be robust enough to weather any economic downturns. We know that we can be profitable producing 1,400 cars annually and that’s probably one of the most important elements of our business. We have the resilience to weather the ups and downs. “In our product plan we’ve planned a nice mix of product to allow our business to be profitable and we have positioned ourselves in a way that means the vast majority of our cars have sold out before building and that helps the dealer in terms of retaining margins and being profitable. “Looking into this year, we’re producing 750 LTs and they have all sold out.